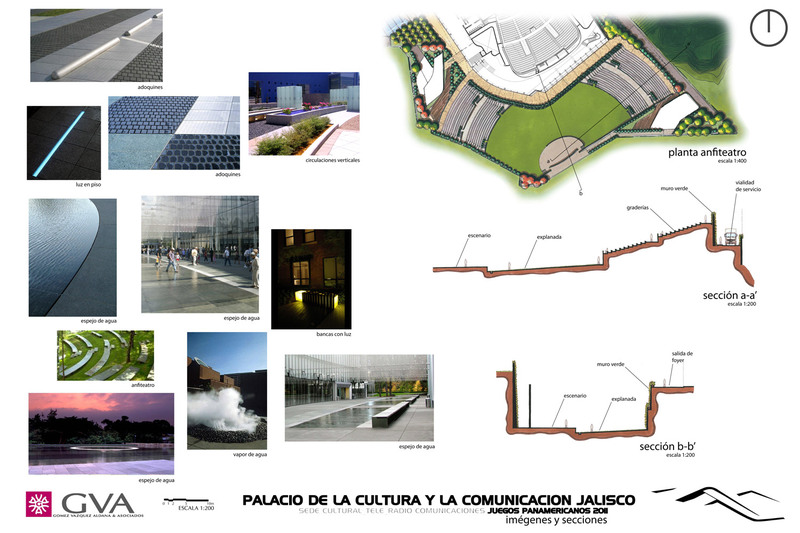 The Palace of Culture and Communication is the result of a joint venture between the Radio & Television Industry, the Jalisco Government and Conaculta. 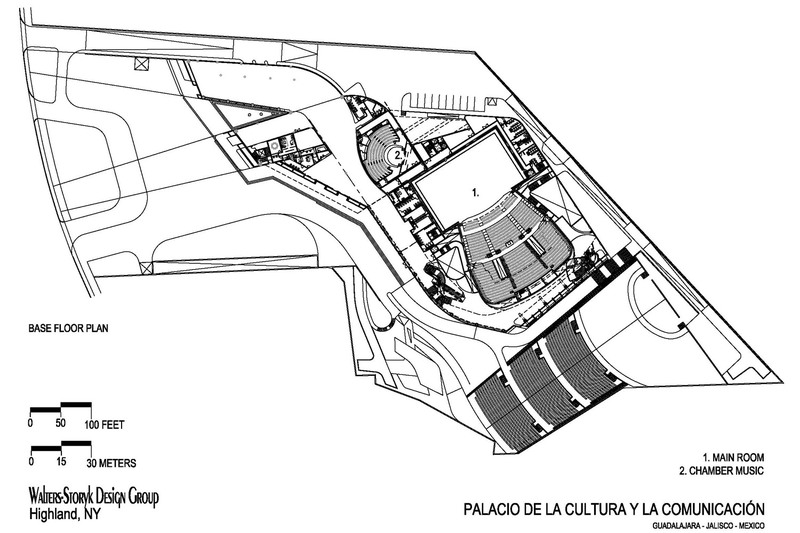 It will be one of the most important centers of culture, entertainment, music and history appreciation in Latin America. Located in metropolitan Guadalajara, the modern complex shows in its innovative design world-class standards, and promotes Mexican culture. 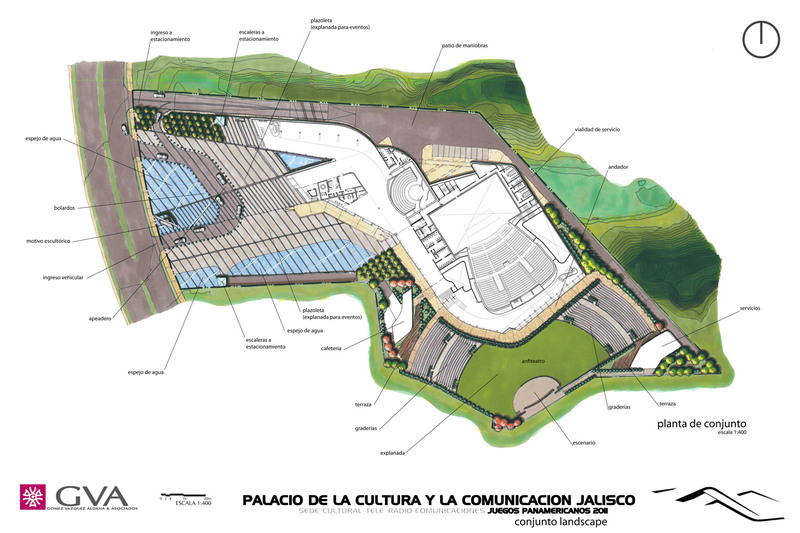 The auditorium of the Palace of Culture and Communication will offer theater, ballet and opera seasons, as well as concerts with symphonic and philharmonic orchestras from Mexico and the world. 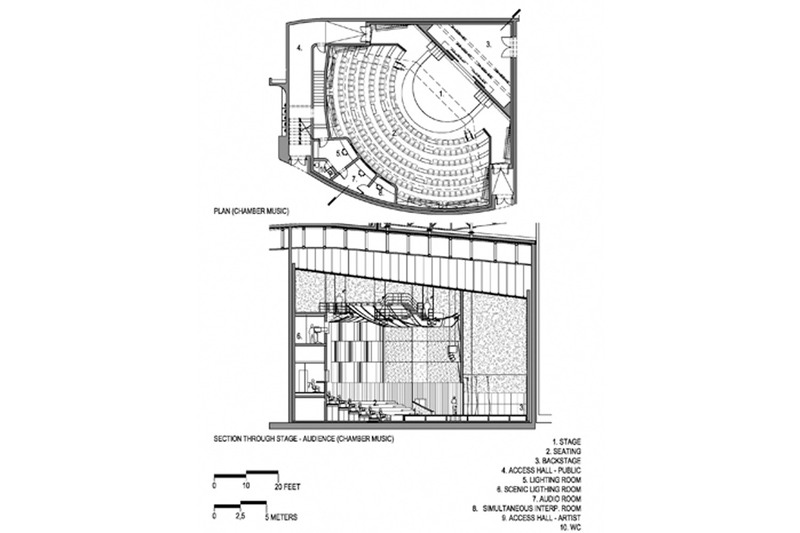 Theater, ballet, opera, concert and musical plays configurations. Service areas and separate chamber music and main auditorium rooms. 2 changing rooms for up to 100 musicians and artists. 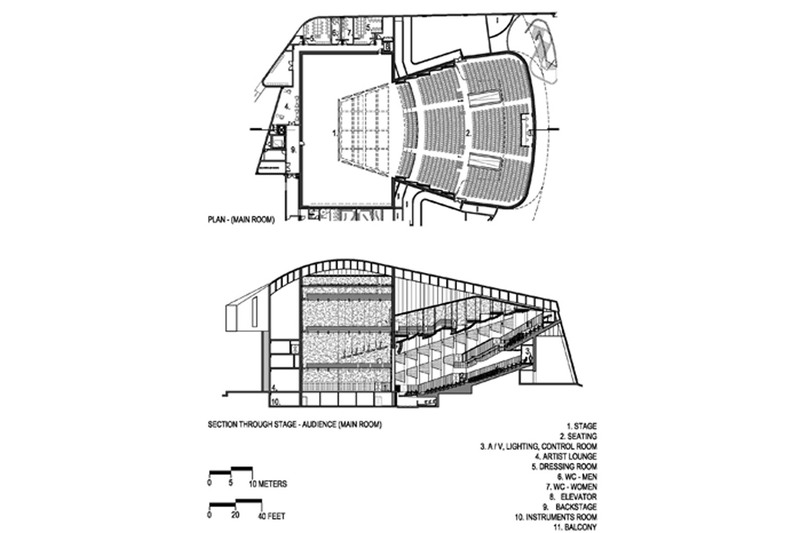 Due to its dimensions and possible configurations of the stage, the auditorium is fit for different types of shows, such as classical music or theater. The theater’s interior design was carried out following the strictest quality standards, looking to bring the audience an experience which is not only intense in the production sense, but also kind and comfortable, thanks to the luxury of its details. 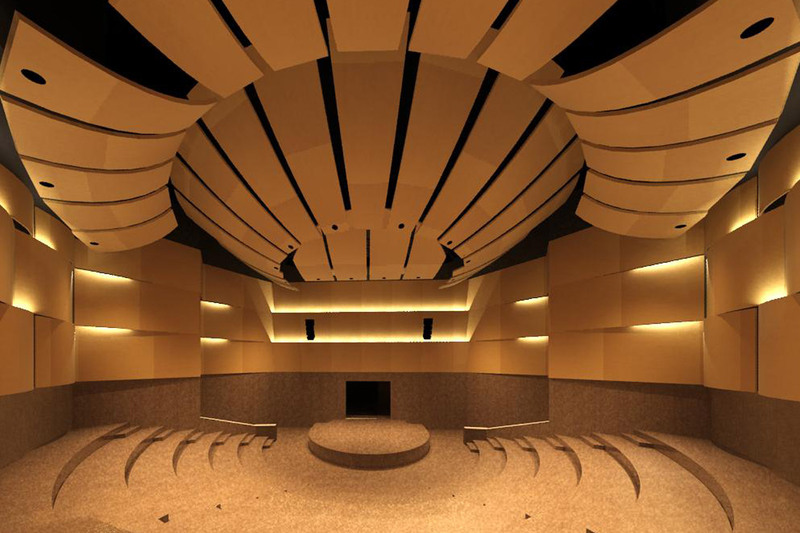 WSDG was called for the acoustics of the auditorium, where a perfect geometrical disposition and additional control and acoustics redirection systems were applied, through acoustic elements and sound isolation. With a 1800+ seating capacity, this theater will be multipurpose, hosting opera and symphonic concerts, theatrical plays, musical comedies, contemporary music shows and multimedia presentations. With a 220+ seating capacity, this world class space has a goal of achieving 100% acoustic performance from all of its seats. 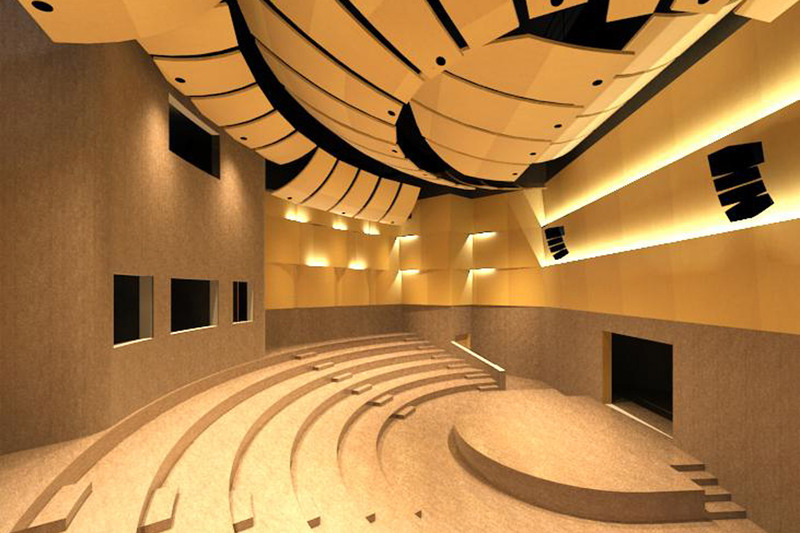 The chamber will also be used for local contemporary music concerts and multimedia presentations. The biggest challenge of the project was that these world class spaces are inside a complex where many cultural activities and shows are held simultaneously. This is why WSDG developed an acoustical isolation system which allows for simultaneous use without any interference between each room and the exterior. 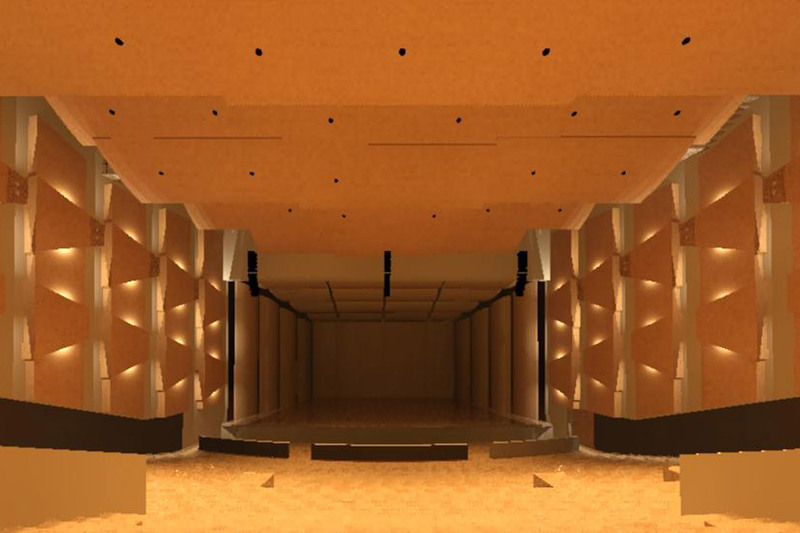 Using the same acoustical isolation technology applied in the most sophisticated recording studios in the world, all of the PCC’s areas were constructed using the Box in a Box acoustical system. With 60cm concrete perimeter walls, completely detached from the interior walls through a series of springs, the rooms can contain its own sound energy without transmitting it to the other areas. A silence level (NC – Noise Criteria) of NC20 was specified, which has an impact not only on the constructive system, but also on all the elements which could affect the performance, such as HVAC, and mechanical theatrical technology. For both the Theater and the Chamber, WSDG carried out a detailed investigation of the best classical and modern theaters in the world, so as to bring PCC to a world class level, achieving the most refined and sophisticated interior acoustics to host the most important events and welcome the best artists without any restrictions. On solid technical grounds, all the acoustic technical details of the rooms where designed, such as hanging panels or “clouds”, diffusers, resonators, absorption panels and sound traps. This combination allows for an homogeneous acoustic throughout all spaces and levels, achieving an even sound diffusion on 99.8% of the seats. The main stage is crowned by a world class motorized acoustic shell to be used in high end music concerts. WSDG’s technical team carried out a full systems integration for the rooms. As every premium 21st century concert facility, PCC has paid special attention to offering an excellent service when it comes to audio, vide, multimedia, lighting, mechanical theatrical and motorized technology. The sound system in the rooms was designed in full coordination with the acoustic design to guarantee identical performance both in the acoustic or amplified mode. The video recording system will allow PCC to register all of the presentations and therefore generate a cultural archive for both PCC and the public and to view the activities taking place in the theater and chamber in high definition in the rest of the complex. High definition LED screens strategically placed will aid the viewing of the events. The lighting was designed using the most advanced motorized and manual technologies available, with a 500 distributed lights computerized system. In the Main Theater, a mixed mechanical theatrical system was installed – motorized and manual – to satisfy the most complex requirements of current performances and presentations. This system is articulated with the fixed and robotized theatrical lighting which is part of a complex system of theatrical mechanics, rigging lines and motorized counterweights.